This guide comes out of inspiration from the Course offered here not too long ago: SSL Traffic: The Cyber Criminal’s Best Friend Instructed By Darrin Coulson. I’ll start with a bit of basic background knowledge you should have on what SSL (Secure Sockets Layer) Encryption is, and how it benefits us. SSL (Secure Sockets Layer) is a basic security protocol for establishing an encrypted link between a web server and a client. With a normal web connection, an attacker is able to intercept all data being sent between a browser and a web server. They can see and use that information how they like, because it’s transmitted in Plain Text. Please keep in mind that all browsers have the capability to interact with secured web servers using the SSL protocol. 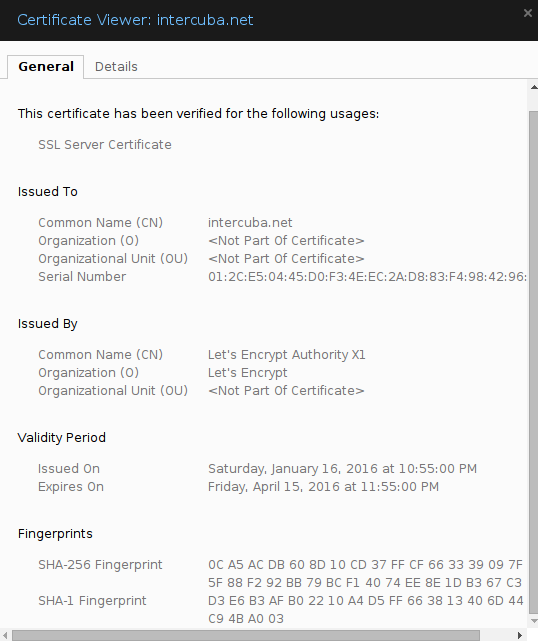 However, the browser and the server need what’s called an “SSL Certificate” to be able to establish a secure connection. Browser checks the certificate root against a list of trusted CAs and ensures the certificate is unexpired, unrevoked, and that its common name is valid for the website it’s connecting to. If the browser trusts the certificate, it creates, encrypts and sends back a symmetric session key using the server’s public key. Server decrypts the symmetric session key using its private key and sends back an acknowledgement, encrypted with the session key to start the encrypted session. Why SSL is so important? SSL is essential in protecting data from being spied upon by someone else on the internet because they will not be able to understand the encrypted data. When you type a search into Google.com or Bing.com, it’s not very hard for someone to eavesdrop on the phrase you’re searching for. Similarly, when you log into Facebook, it’s not difficult to intercept and decipher your password while it’s in transit between your computer and Facebook’s servers. And, when you send payment information to PayPal, a hacker cannot listen in and swipe your credit card number. SSL helps do away with Man-In-The-Middle Attacks. But, as everyone who has tried to get and maintain a certificate for a web server before will tell you, it’s no easy task. Let’s Encrypt automates every single step: from no validation emails, to no complicated configuration editing, to no expired certificates breaking your website. And, of course, because Let’s Encrypt provides certificates for free, there’s no need to arrange payment. The Let’s Encrypt script will install all of its own dependencies and updates client code automatically. The this will obtain a single cert for example.com, www.example.com, thing.is, and m.thing.is; it will place files below /var/www/example to prove control of the domain. edit the: httpd-ssl.conf Apache configuration file. Once you have your web server configured, close the file and restart the server. With this, I hope I was able to help some of you out there trying to Encrypt your Servers connection. Thank you. I also want to take the opportunity to thank @trevorh for helping me out with submitting this and getting my issues with OP3N resolved. I think that instead “facebook, it is not difficult” you mean “facebook, it is difficult”, right? It really makes you wonder…why self-signed certificates are disallowed, but DV are allowed that can easily be “shadowed” is allowed… I can “pretend” that I have a different domain easily and gain access to target computer. Hence, DV aren’t very secure, and are usually black locks instead of green. On the other hand, I do see the advantage of using this type of SSL, and it’s better to use some form than not to use at all (especially with credit card transactions or sensitive data). You just said , using no encryption is a better option then using some encryption. Your argument is invalid on the basis of the structure of how the internet works. Want my reason to Encrypt Everything? Any Crypto is always better then no Crypto, Specially when it’s being launched by EFF and Mozilla among others. Let’s see for how long this program lasts. The thing that concerns me is that wouldn’t this be abused by Phishers? You should always pick crypto over no crypto mang. You don’t want a self-signed certificate as most browsers will complain about your authority. You will have more problems having SSL than not having. On the plus side, if you can ignore those browser warning about “untrusted connection”, then you get all the benefits of the SSL. Let’s Encrypt issues certificates to subscribers from its intermediate CAs, allowing them to keep their root CA safely offline. IdenTrust has cross-signed the intermediates. This allows their end certificates to be accepted by all major browsers while we propagate their own root.